Ada pertanyaan untuk Palm Garden Hotel? 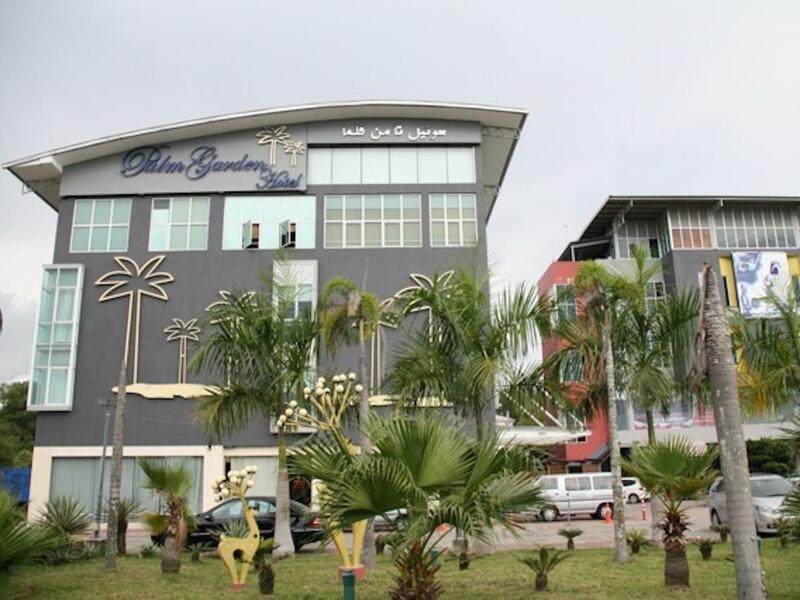 Ideal untuk bersenang-senang dan bersantai, Palm Garden Hotel terletak di area Kianggeh Bandar Seri Begawan. Hotel ini tidak terlalu jauh dari pusat kota, hanya 4.9 km dari sini dan umumnya hanya membutuhkan waktu 15 menit untuk mencapai bandara. Sebagai sebuah tempat untuk beristirahat dan bersantai, hotel ini terletak hanya beberapa langkah dari berbagai obyek wisata kota ini seperti Mesjid Jame' Asr Hassanil Bolkiah, Rumah Sakit Raja Isteri Pengiran Anak Saleha, Pusat Perkembangan Anak. Gunakan kesempatan untuk menikmati pelayanan dan fasilitas yang tidak tertandingi di hotel Bandar Seri Begawan ini. Fasilitas terbaik hotel ini termasuk WiFi gratis di semua kamar, layanan kebersihan harian, layanan pos, layanan taksi, layanan tiket. 40 kamar yang tersebar di 2 lantai memberikan suasana hangat dan menyenangkan ketika Anda jauh dari rumah. Kenyamanan modern seperti televisi layar datar, akses internet - WiFi, akses internet WiFi (gratis), kamar bebas asap rokok, AC dapat di temukan di beberapa kamar. Hotel ini menyediakan sejumlah fasilitas rekreasi seperti pusat kebugaran, kolam renang luar ruangan. Dengan lokasi dan fasilitas ideal yang setara, Palm Garden Hotel dapat memenuhi berbagai macam hal. Harga sebanding dengan fasilitas transportasi yang ditawarkan oleh hotel. Antar jemput bandara gratis dan city tour cukup terbayarkan dengan kondisi lokasi hotel yang jauh dari pusat kota. Staf yang ramah dalam melayani tamu. Pengalaman menginap di hotel yang sangat rata-rata, tidak ada yang special di hotel ini. Saya akan memilih hotel lain jika menginap kembali di Brunei. Hotel ini cukup bagus dan bersih, serta cukup dekat menuju tempat lokasi makan dan komersial lainnya. Akan lebih lagi jika ada penerangan pada jalan masuk menuju hotel dari arah simpang bundaran karena masih daerah sepi dan masih banyak pepohonan. 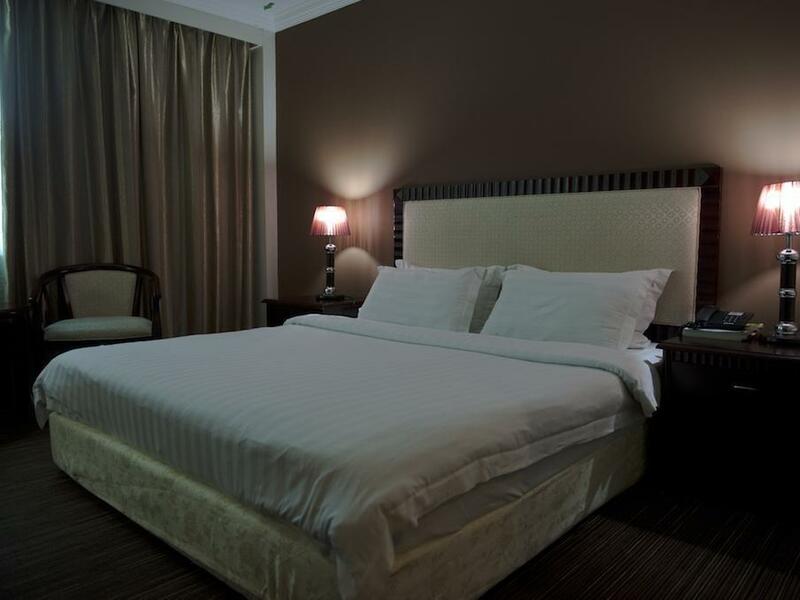 This hotel is one of the cheapest in Brunei, BND50 deposit needed upon check in. A lot of restaurants and shopping malls, supermarket nearby, quite a short walk maybe around 500meter to Kiulap Mall. The saddest part, In order to go to the swimming pool, we need to get in to the restaurant or gym nearby... Which i feel not quite comfortable, so we ended didnt bring our son there, and he got very frustrated. Just wish they provide a short cut door to it. Apart of that, quite okay to stay there.. The room was spacious too.. Thanks. Mattress don't like a mattress, too hard, short of staff. The day I check out, I ask the reception to arrange their staff to help me take my luggage, and the reception simply tell me, they don't have staff, only she alone working that time. Toliet not clean, carpet inside the room too dusty,like 1-2 year no vacum. Not recommended this hotel to others. I had an 8 hour transit in Brunei. The Palm Garden turned out to be a good place for a transit stay. Communication about arrival details was quick and friendly. Airport transfers were included in the cost, pickup was on time. I was able to check-in early. The room was comfortable, clean and secure. Price was better than the other hotel options I considered. Will stay again. This hotel used to be my favourite hotel if I stayed in Brunei for work because it has excellent gym and swimming facilities. However, the downside was the room is very basic and provide no coffee or tea sachets for guest and only 2 bottled water. pros: good location, nice gym, good foods (energy kitchen), reasonable price, easily request for item(but need to atleast ask twice) cons: lack of staff, no 24/7 maintainance on stand by, limited parking space, room cleanliness still ok, conclusion: need a well train hotel managent to restructure the system. We booked the hotel with breakfast. but they did not provide breakfast on Eid, because the restaurant was closed on that day. We didnt have option to choose breakfast. Swimming pool was one of the reason i booked the hotel, however arrangements to use swimming pool was difficult. Staff were very kind and friendly. Walking distance to Mall and shops. Everythings good except for the breakfast. Do not expect buffet breakfast with many choices of food. Came at 9 am only left 3 type of foods. Never had breakfast for the next 2 days. The Staff are very friendly and accomodating. They provide airport transfer and even provided service going to convention. Facilities are very nice and really good value for money. Will definitely go back to this hotel. Highly recommended! 1) email was sent to ask for my arrival details . When I arrived, the pick up service do not have me in the list. I got the ride to hotel , anyway. 2) Previously, I get rides to Ripas Hospital for free. This trip, the reception needs Manager approval. I was turned down and was arranged a Taxi instead. Taxi fare was B$15.00. In fairness, i asked for the service 1 hour beforehand. Apparently the hotel's gym is among the best gyms in the whole country of Brunei, and according to rumors you might even see loyalties getting their workout done here. Now isn't that kinda awesome! Other than that, the hotel is situated a bit far from the city center, but we soon figured out that there's not much to do downtown so that wasn't exactly a loss. The hotel staff drove us for free to the night market and we got free pickup from the airport the day we arrived so all in all the price we paid per night is really a bargain. Rooms are really basic and could need a renovation but considering the free transportation and awesome gym this place would definitely be my first choice for a budget hotel in Brunei. I'll be back with a longer review and pictures on my blog adventuresofanette. Booked the Palm Garden Hotel through the internet. It was stated free transport service from the airport vice versa and that is one of the reason I booked the hotel. 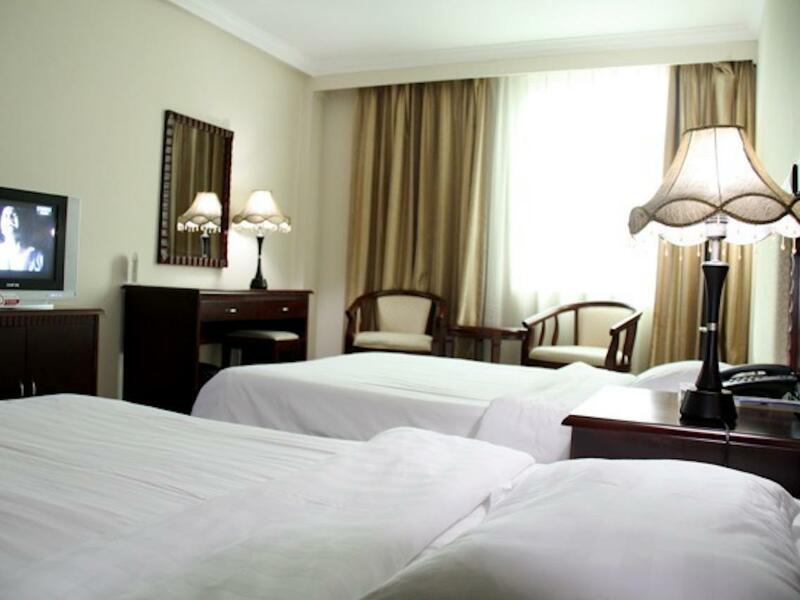 However you need to contact the hotel even though you,ve mentioned your arrival time at the provided space during the booking. So sad to say when I arrived there,s no hotel transport waiting and we have to take a taxi as there is no other public transport available. That cost us B$22. The hotel room is spacious. However the hotel was supposed to provide 1 bottle mineral water for each everyday but sad to say they could not provide the supply for the number of occupants. Even though it's only one bottle short the hotel should be able to solve such a small problem. We didn.t complain but it reflects the attitude of the hotel staff to the quests.